For Dorćol, Nick was there from the very beginning. 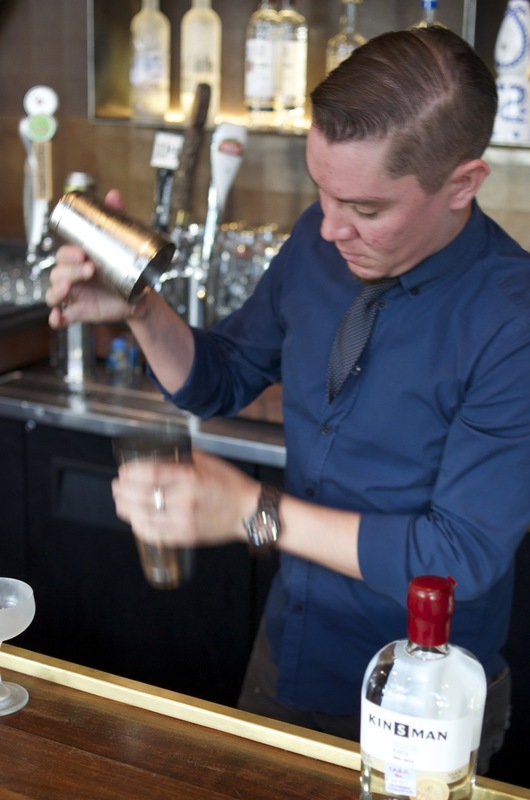 He joined the team for the opening night and for a year and a half brought an imaginative, playful approach to the bar program. 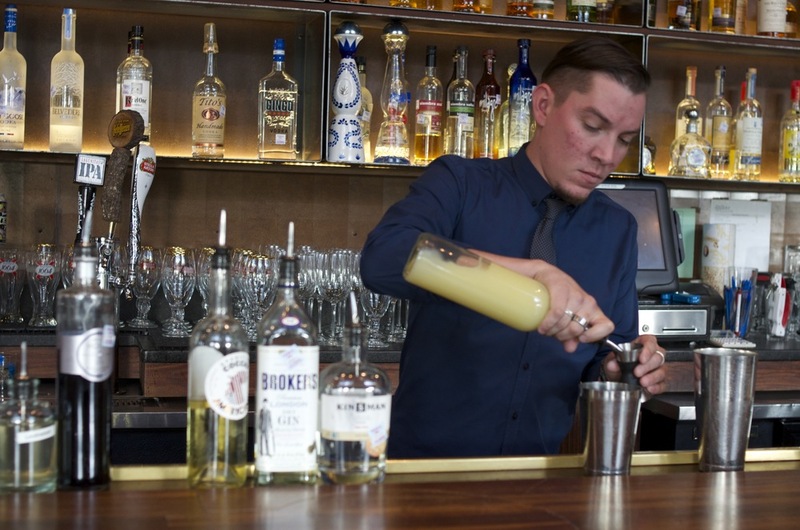 With a single spirit, the Roosevelt High and UTSA graduate of architecture cultivated a robust craft cocktail menu that continues to captivate guests. After a year and a half working at the Southtown distillery, the once-aspiring architect now runs the bar program at Blue Box at Pearl. 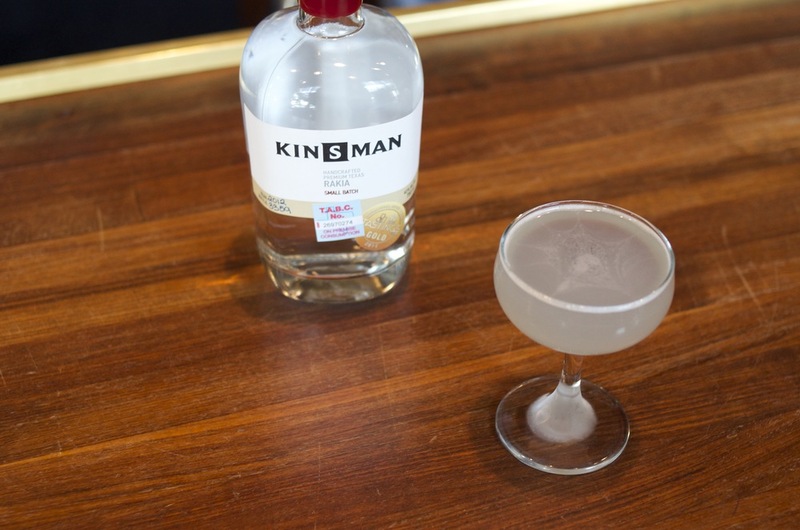 While the number of spirits in his arsenal has grown, the long-time barman continues to give love to Kinsman, which he calls "vodka's much better looking sister." I started at PF Chang's as a busser. Then I got the opportunity to bar back. I had a good friend behind the bar who started teaching me, and slowly but surely I learned quite a bit. Eventually, I moved on to Lion & Rose where I bartended for four years, my longest stint at any place. In bartender years, that’s like 30 years. From there I transitioned over to Silo, and continued bartending throughout college. I was making good money and enjoying what I was doing. In 2007, I got my architecture degree from UTSA. Life and serendipity introduced me to Don Marsh who was getting ready to open Bar 1919. I eventually met with Don and took his bar test, which I’m sure I did horrible at but still managed to land a job behind the bar. 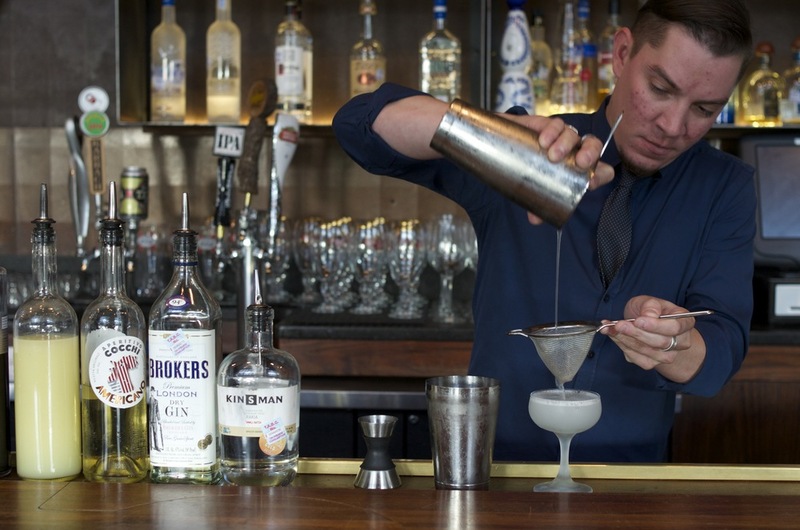 What was it about bartending that made you choose it over architecture? What was it like to go from playing with hundreds of spirits at Bar 1919 to using just one? After my experience with Don, I was pretty well versed in flavor profiles. He introduced me to a book called “The Flavor Bible,” which is a great start if you’re going to develop cocktails. Kinsman Rakia is a beautiful, beautiful spirit. It’s got a delicacy to it that most spirits simply don’t have, almost gin-like. I like to describe it as vodka’s much better looking sister. I originally feared that it'd be hard to keep the audience captivated with one spirit on the shelf, but we've had great success with it. To get different flavor profiles, we played around by adding smoke to Rakia to get the smokey notes you typically find in Scotch or mezcal. Also having knowledge of classics and how they’re built allowed us to put our own special twists on cocktails people are familiar with. I loved pushing guest's expectations. It’s a great product with a beautiful mouth feel. It has a soft way about it. It adds to a cocktail without trumping other ingredients. You have the aromatics of a gin, and the mouthfeel of a great whiskey. It’s hard to mess it up. If you know your proportions and know what each ingredient is bringing to the table, it’s fool proof. Fortified wine. In the winter I want to play around with tea that has chocolaty tones because chocolate and apricots just sounds delicious. Things that are very subtle in nature and allow the spirit to still speak. Sometimes people aren’t used to Kinsman all by its lonesome, but that's the best way to have it. But if you put it with something beautiful and delicate like fortified wine and a sweetening agent or apricot, Pamplemousse, vanilla, or violet liqueur, you can't go wrong. I don’t know if there is anything that it doesn’t go well with, honestly. What's your favorite way to drink Kinsman? Neat most definitely. As a cocktail, I really like the way the old fashioned turned out. With the brown sugar, cinnamon and star anise added in there. It's been widely popular at the distillery year round even with all those fall-like tones. It just works well. If you don't like cinnamon, I think you might be a terrorist. Instructions: Combine ingredients except vanilla mist into a cocktail shaker. Shake with ice. Spray chilled coupe with vanilla mist. Double strain into coupe and garnish with a brandied cherry. Note: To make lavender simple syrup, bring 2 cups water and 2 cups sugar to a simmer in a pot. Stir until sugar dissolves. Remove from heat and add 1/2 ounce lavender buds. Steep until desired taste is reached and strain lavender. Let cool before use. Will store in refrigerator for up to two weeks. Note: To make vanilla spray, butterfly two vanilla beans and steep at room temperature in 100 proof vodka for three days. Strain before use.